Russian traders are likely to be indecisive on Tuesday, as no significant news is expected that could change current economic trends. ­“Taking into account Monday’s decline, today we can expect that Russian stocks will show slight growth in the beginning, but later they can return to negative figures,” Yulia Voitovich from Investcafe said. With no significant developments on Monday, the main indices in Moscow flipped between positive and negative territory, finishing in the red by the end of the day. The MICEX lost 0.26% and the RTS was down 0.51%. Severstal and Gazprom were among the companies that took the biggest losses. The Russian Central Bank is holding a meeting on key interest rates on Tuesday, but no changes are expected to be made. Despite calls from both politicians and businesses, interest rates in Russia will remain high as the Central Bank fights inflation. Deputy CEO of the Central Bank of Russia Aleksey Ulyukaev said in Davos in January that there was no point using monetary stimulation to boost the economy, as the current level of growth more or less matched the economy's potential – cutting rates would therefore produce few economic benefits. “The rates will stay unchanged, and the government statements are just a message to manufacturers and companies to support their optimism,” Natalia Orlova, chief economist at Alfa-Bank, told Finmarket earlier. 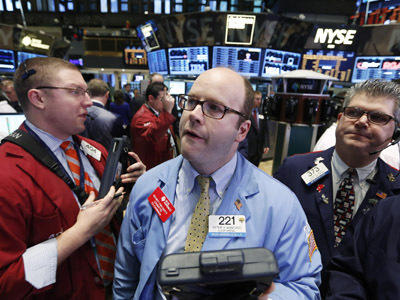 The main US stock indices ended the Monday session slightly in the red. 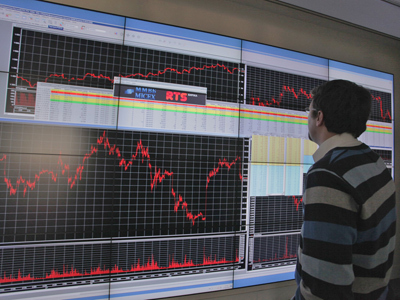 The Dow Jones declined 0.16%, while the S&P 500 and NASDAQ fell just 0.06%. 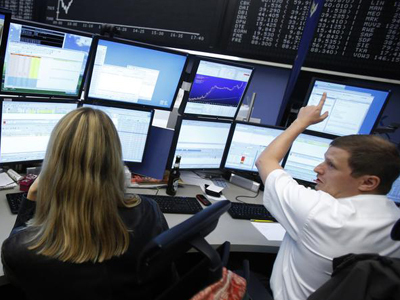 In Europe, the UK's FTSE100 went up 0.21%, the German DAX slid 0.24% and the CAC40 rose 0.56%. The UK and Switzerland's Consumer Price Index (CPI) for January are set to be released on Tuesday, with a slight decline expected from last month figures, at 0.3% and 0.5% respectively. The UK will also release its Producer Price Index (PPI) for January, which is likely to rise 0.9%. At Monday’s euro group meeting it was decided that conducting a speedy, independent audit of how banks in Cyprus were implementing anti-money-laundering laws might be on the table before a decision is made on providing an aid package. Asia's main stocks are trading in black, with the Hang Seng growing 0.16%, the Nikkei adding 2.39% and the Shanghai Composite going up 0.57%.